I love iced coffee. 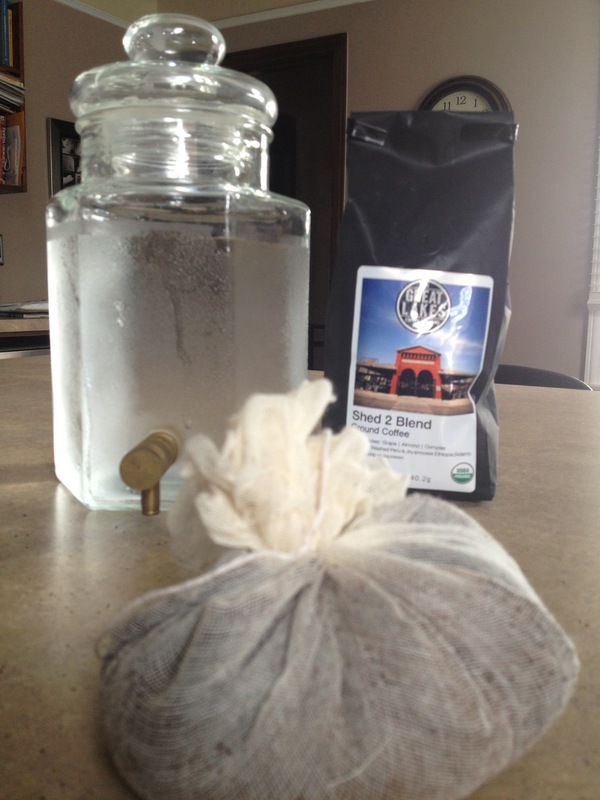 I have become particularly focused on (some would say obsessed) creating the perfect iced coffee brew. Bring the corners of the cheesecloth together, twist and tie tightly with cotton thread/twine. 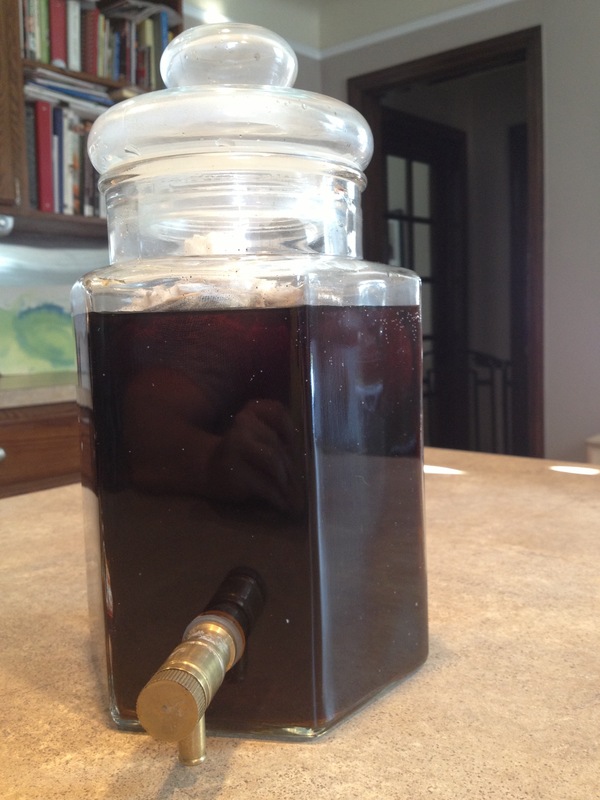 Fill a large glass container with 5-7 cups of cold purified water. Place the cheesecloth pouch into the water. Let sit out on your counter or in your refrigerator overnight or for at least 8 hours. Keep in your refrigerator with the black gold for up to a month. Enjoy ice, cream, sugar or just plain, like me, for up to a month. 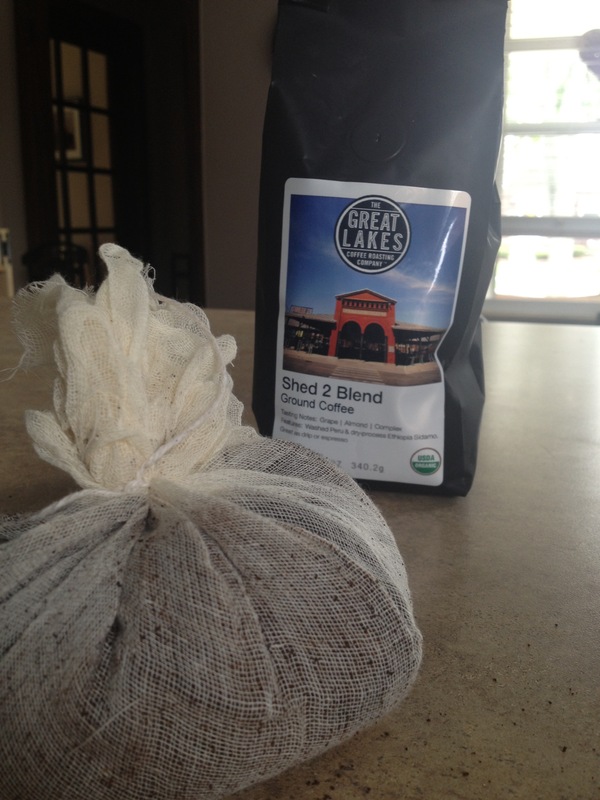 If you do not love strong coffee, use less coffee to water in your brew and take the cheesecloth out after the first “overnight” brew. 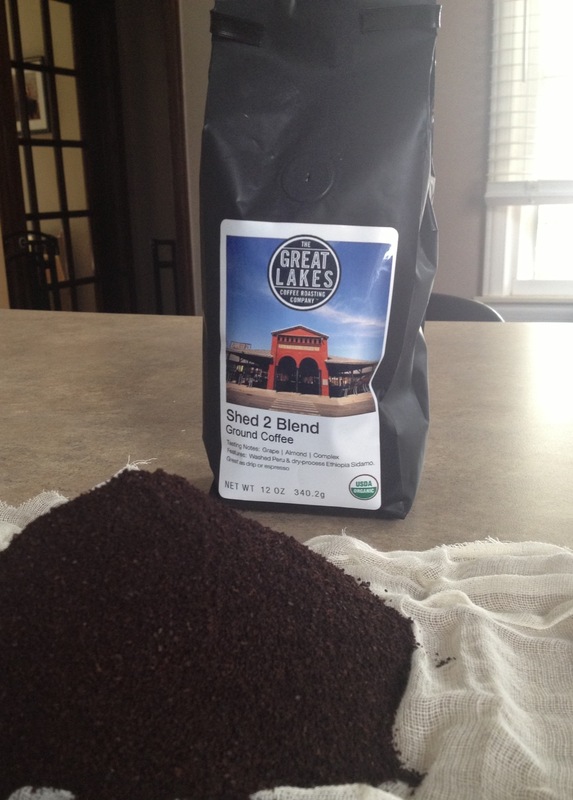 This entry was posted in At Home and tagged coffee, detroit, Great Lakes coffee, iced coffee, organic. Bookmark the permalink.